Newspaper does a Serial knock off… really well. I just finished listening to the 7 episode series “Breakdown” from the Atlanta Journal Constitution. It’s a Serial-like podcast about a true crime story of a man convicted, possibly wrongly, for arson and murder. Reporter Bill Rankin had 6 months off of his regular beat to research the story, and he had production and writing help from professionals as he learned how to write a script vs. writing an article. Disclosure: my friend and colleage Susanna Capelouto was part of the team. 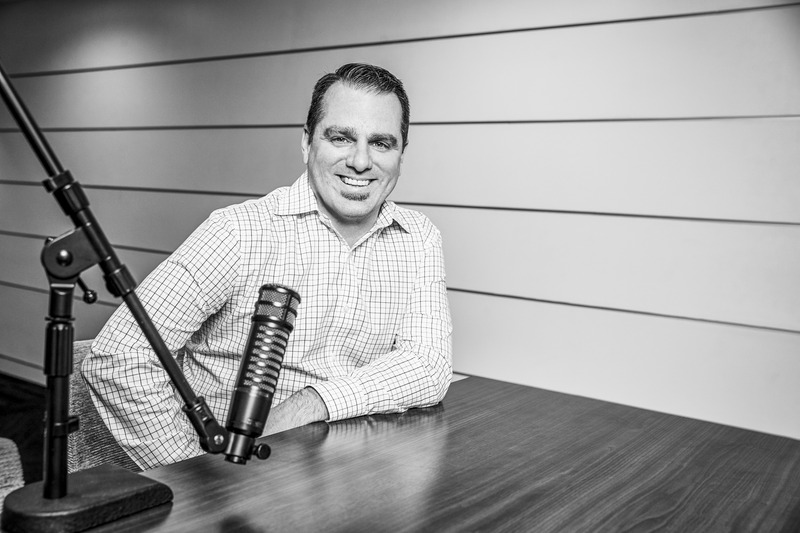 A website was built, promo’s were made… they really went “all in” on this podcast. It wasn’t perfect, but it sure did hold my attention and I quickly went from one episode to the next. I’m not going to offer critiques here, my “complaints” are small and not the point of this article. I’d love to know what they expected and how they think it performed. The best article I’ve seen about the making of the podcast is here from Columbia Journalism Review. The paper’s market research has shown subscribers value the expertise of the paper’s staff, he said. “I wanted to showcase our specialness, the fact that Bill understands this stuff better than anybody else,” he said. Understandably, they have not divulged download numbers and other metrics (as far as I can tell). 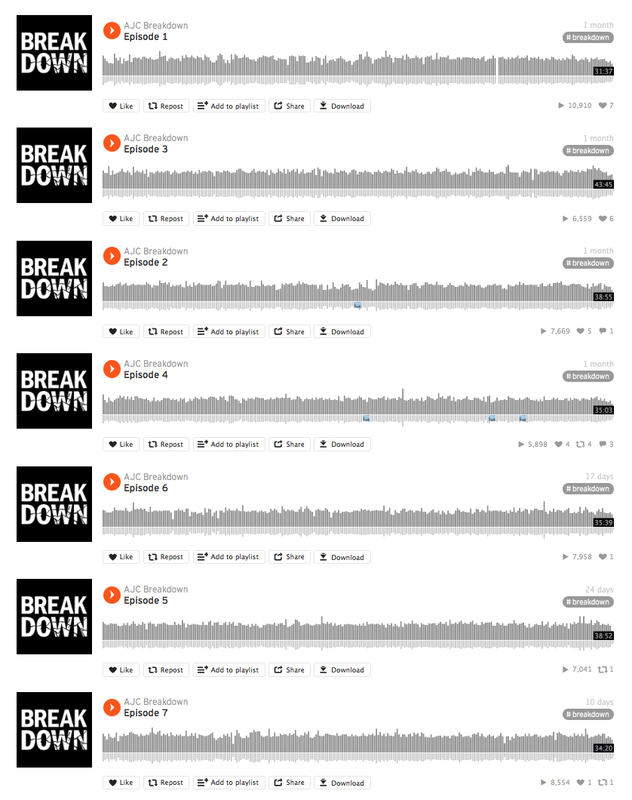 Some of the episodes on Soundcloud have play numbers by them, and as of this screen grab on 7–8–2015 at 11am the highest played episode has 10,910. These Soundcloud plays don’t capture all the listening to Breakdown. There are still downloads from iTunes or other podcast apps, listens on Stitcher, and listening from the AJC’s own website. I don’t know if all of the data added up to something significant or not, but if you read my story “Why Does Serial Need Donations?” you know what we see here is not enough to pay for the production of the series through ads. I binge listened to the free episodes after they were all out, but they were originally posted weekly at the beginning of the summer. Episodes would come out Sunday behind the paywall, and then be free on Thursdays. I hope they were able to drive new subscriptions or maybe deeper engagement from current subscribers to call Breakdown a success. Whether or not Breakdown met all of their expectations, I don’t know. But it seems like they will do more. Roughton told CJR the cost of this one will be ammoritized over any following podcasts the newspaper does. That tells me they got enough out of the experience to keep going, and I can’t wait for what’s next. Will they be doing Breakdown podcasts when this story goes to its next phase in court? If that’s the case will they do ongoing updates, or wait for it to play out in court and release a complete series? Or maybe they’ll do another story all together? How about an audio version of TV’s “Hard Knocks” based on UGA Football? As I thought about how much I liked the podcast and started thinking about writing this article, I thought about me as a consumer and what did the AJC “win” from me? I don’t subscribe to the paper. I didn’t pay the online subscription fee to get the episodes early or see the additional content. I like the AJC, and I often click on their stories in my Facebook feed but that’s really about it. I guess they get some more brand goodwill from me, and I will now be a word of mouth “advertiser” for their podcast. So how can they capitalize on the fact that I listened to over 4 hours of reporting from them? How can they “monetize” me and others like me next time? The obvious answer is advertising in the free podcast episodes, and I hope they do it. What else? Maybe it should air on Cox radio stations.